Lucy Pevensie: Oh my gosh, he's so cute. Reepicheep: [Reepicheep draws his sword and looks around] Who said that? Q: Were there no humans in Narnia before the Pevensies? Q: Where can I find out more information about this project? Q: Are the Telmarines a Narnian equivalent of the Spanish? Having just come back from a screening of Prince Caspian, I can honestly say that I got the movie fresh in my mind...and it was amazing! Not only was it better than the first in every way - the story, the acting, the screenplay - but it managed to have more of an edge without sinking into the pitfall that movies such as Pirates of the Caribbean have slipped into. 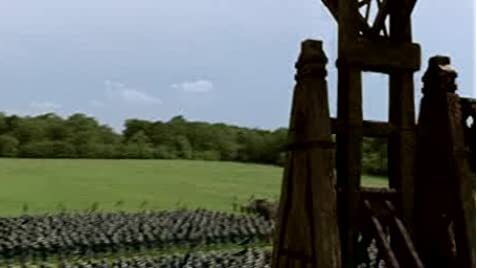 Meaning that unlike the Pirates sequels (don't get me wrong, I love Pirates, but this is something that bothered me a little), the makers of Prince Caspian did not believe that to make it better and more exciting, they had to gore and bloody it up. Instead, while it is darker, the blood and gore is kept to a bare minimum considering this is an action flick. Anyway, that now aside, I highly recommend this! It's a great movie - great action scenes, a tad bit of romance but not overly so, and a good plot. Plus the young cast are even better in this film than they were in the first, and Ben Barnes - well, it's right that he is the title character,because he very nearly would have stolen the floor from underneath the original kids if they were even the slightest bit less perfect (William Moseley was the weakest of the five, as he was in the last movie, but he still stepped it up quite a bit). Granted, I've not read the books, so I don't know if this is as dedicated to the book as many fans would like it to be. Then again, most movies adapted from the books never are. However, if they can find it in them to accept changes for theatrical purposes, I'm sure even the most die-hard fans will admit it "wasn't bad." 149 of 261 people found this review helpful. Was this review helpful to you?